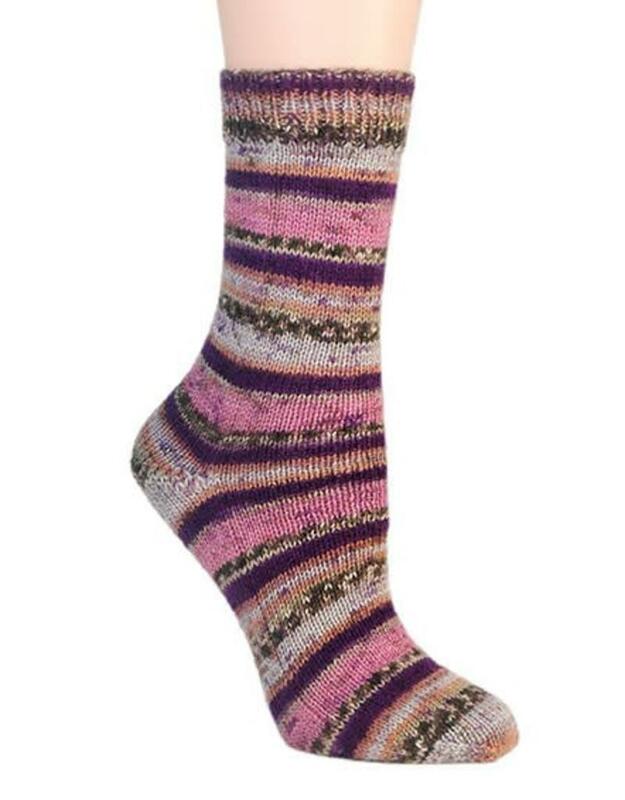 Berroco Sox is a superb woolen sock yarn that patterns all by itself as you knit your socks in the round. One 100 gram ball makes a pair of socks. Choose from an assortment of engineered colour patterns. Ball: 100 grams, 3.5 oz, 406 m, 440 yds. Knitting Gauge: 30 sts & 40 rows = 10 cm o 4"